Even if you feel you've saved enough money for the future, it's important to start planning for long-term care now, when you can make sound decisions. Why you should plan now for care you may need later. Financial planning for our later years tends to focus on living expenses and activities. But it's also important to plan for the cost of care when you're no longer able to live independently. The U.S. Department of Health and Human Services reports that the majority of us—70% of those ages 65 and older—will need some form of long-term care, with the average person requiring three years of assistance. Yet only 35% of Americans ages 40 and older have set aside money to pay for long-term care, and just 41% are talking about their preferences with their families, according to a report from the Associated Press–NORC Center for Public Affairs Research. "It's very challenging to come to terms with the idea that we're getting older and won't be self-sufficient. As a result, many people don't address long-term care," says Dr. David Grabowski, a professor of health care policy at Harvard Medical School. By not planning, you risk two problems. One is that you'll lose control over the care you receive. "Many people push it off to their families," says Dr. Grabowski. "But your family may make decisions that are very different from the ones you'd make." The other problem is that you may not have money to pay for long-term care if you don't plan for it. That lack of funding often forces loved ones to provide care. "Families are actually the biggest providers of long-term care in the country," says Dr. Grabowski. But when a person's care exceeds what a family can provide, care often falls to an institutional setting. "If the finances aren't in place to pay for that, the risk is ending up in a low-quality setting," says Dr. Grabowski. 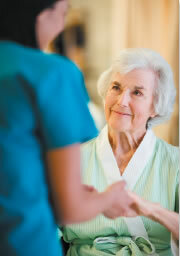 Several types of long-term care are available. Some allow you to live at home, being cared for either by a family member or by certified aides trained to help with activities such as bathing, dressing, feeding, and using the bathroom. The latter is called private-duty care, and prices average $21 per hour. You can also live at home but spend the day in an adult day care facility for an average of $67 per day. Options outside the home begin with an assisted living facility. You might be a candidate if you have minor medical problems but need help with meals, medication management, bathing, dressing, and transportation. The average cost for a one-bedroom unit is about $3,300 per month. If you have a medical condition that needs daily monitoring or if you have dementia, you'll likely need to be in a nursing home, where the average costs range from $6,000 to $7,000 per month, depending on whether you have a semi-private room. Most people believe that Medicare will come to the rescue when it's time for long-term care. That's not the case. Medicare will pay for a short-term stay in a nursing home (up to 100 days) after a three-day hospital stay. Medicare will also pay for skilled health professionals, such as nurses and physical therapists, to provide services in your home if they are medically necessary and prescribed by a doctor. This is called Home Health services and is different from private-duty care, which is not covered by Medicare. Home Health lasts only six weeks. The service is designed to get you back on your feet after a temporary setback, such as surgery, hard-to-heal wounds, or broken bones. Medicare does not provide long-term solutions. Paying for long-term care is limited to a few options, including private pay (full price from your own pocket), long-term care insurance, Medicaid, and veterans' benefits. Obtaining some of these benefits can be quite complicated and time-consuming. You will need to begin planning for long-term care with assistance from legal and financial professionals. You may need the advice of an elder law attorney, who also can assist you with comprehensive estate planning, including trusts, wills, powers of attorney, medical powers of attorney, and advance medical directives. A professional financial planner can help you think about the trade-offs of saving for potential long-term care needs versus purchasing private long-term care insurance. The most important discussions might be the ones you have with your family members. Where do you want to receive care? Who do you want to provide it? What role will your family have in this? Much of this might be dictated by your health and wealth, but it is surprising how many families fail to have these conversations. Planning for your long-term care now can make a world of difference, even if you feel you've saved enough money for the future. "There are plenty of stories of people who, in spite of having money or a lot of family resources, can't navigate the system because they haven't planned in advance for these needs," says Dr. Grabowski. Here are the options if you can't afford to pay out of pocket. A long-term care insurance policy reimburses you for daily expenses (up to a set daily limit) in an assisted living facility or a nursing home, or even care in your home or an adult day care center. These policies are complicated: benefits are triggered with a specified amount of medical problems, and there are limits to how much and how long policies will pay for your care. Premiums are expensive and vary widely depending on your age when you purchase a plan. For example, the average cost per person is about $2,000 per year. You may be able to afford that while you're working, but what if you're retired? And not everyone will qualify for a policy, based on current health conditions. "Less than 10% of older adults have these policies," says Dr. David Grabowski, a professor of health care policy at Harvard Medical School. "The explanation most researchers have pointed toward is the strong presence of Medicaid as a substitute for private long-term care insurance." Medicaid is a program shared by both state and federal governments. Program rules and coverage vary from state to state. Generally speaking, Medicaid does pay for long-term care in nursing homes, and for assisted living costs in some states. But Medicaid is available only to those with income and assets that do not exceed the levels set by your state. That means you may need to exhaust a lot of your assets before you can qualify for Medicaid coverage. And you can't suddenly give away your money when you need Medicaid. During the lengthy application process, which can take several months, Medicaid looks at your assets for the past five years. This requires that you fill out pages of paperwork and provide financial documents while Medicaid determines what your assets are. It's a complicated process. For example, your home is not considered an asset, but the equity in your home is an asset if it exceeds a certain amount (which varies by state). 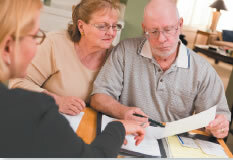 Elder law attorneys can help you navigate the Medicaid application process. If you qualify for Medicaid, you'll have to face another challenge: finding a nursing home that accepts Medicaid. If you're a veteran, you may qualify for the Veterans Affairs (VA) Aid and Attendance and Housebound Improved Pension benefit, also called A&A. This can be used to defray the costs of long-term care: nursing home care, assisted living, and some care in the home. It can provide a monthly benefit of about $1,800 for a veteran, about $1,200 for a surviving spouse, and about $2,100 for a couple. The A&A benefit can be used in addition to a Medicaid benefit. But it's tricky: the VA doesn't require a five-year look-back like Medicaid, so that's better for your assets. But if you get the VA benefit first, it may disqualify you for Medicaid. An elder law attorney can guide you through the process, which can be complicated. Anyone who helps you apply for VA benefits must be accredited by the VA and is not allowed to charge you for the service. It's usually included as a free service in a larger long-term plan.